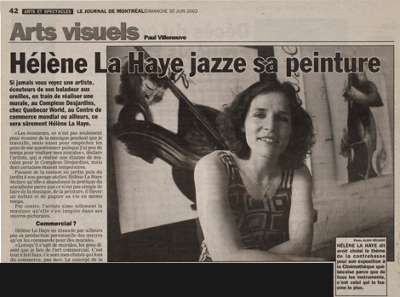 Hélène La Haye has a B.A. in Visual Arts and Jazz from Concordia University. She spent a few years in Toscana and France, and she is now based in Montreal. She has been working for Cirque du Soleil, cinema shootings and television shows as a scenic painter and has created a series of large public mural paintings, including the one in the hall of the Belgo Building (where most of Montreal’s contemporary art galleries are located) and many others in Complexe Desjardins. Through time, she has developed a specific technique to do large pieces on glass. This led her to win a jury’s Grand Prize in a contest organized by the Montreal Museum of Fine Arts. 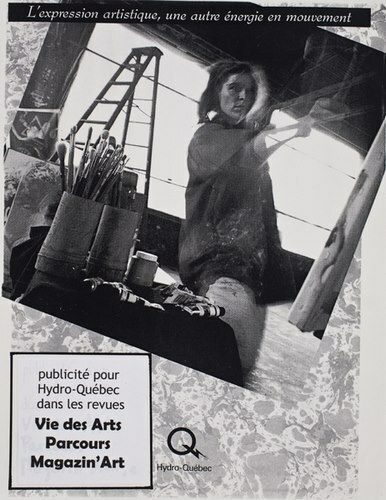 The prize was attributed to her for a glass wall-painting she did for the Eaton Centre. 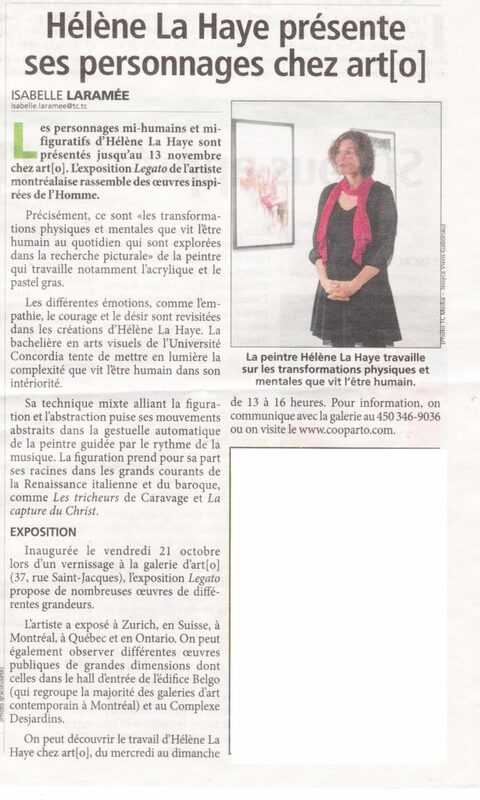 Also, her work has been exhibited in Zurich, Switzerland, and Montreal, at the Cinémathèque québécoise as well as in various galleries in Quebec and Ontario. For four years, she taught arts to children in primary school. She has had the initiative to create an art history program that covered everything from rupestrian art to contemporary art and to which she related all the projects she did with the children. 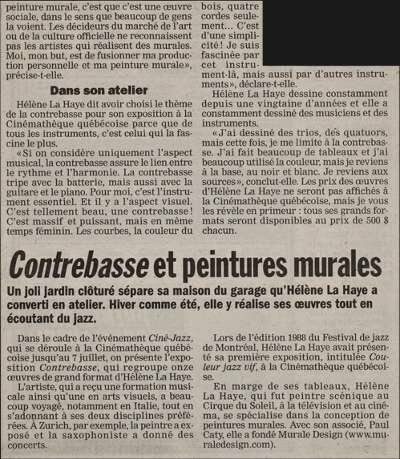 On top of her own art production, Hélène La Haye has set up painting and drawing classes based on a sensory approach of matter and movement. 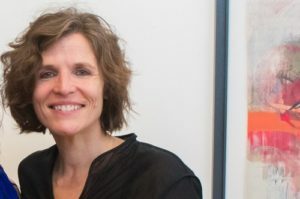 With adults and youngsters, she delves into imagination and observation in relation to movement and music, just as she does with her own work, to which she dedicates most of her time. The artist’s file: constituent parts and presentation strategies. Jury Grand Prize, wall-painting on glass Perfumes, contest organized by Montreal Museum of Fine Arts and Tourism Montreal. Jury : Danielle Sauvage, Carmen Ciotola, Nicolas Caprio and Jean-Pierre Viau.